E-Books, Guides, Webinars and Tools to help address your business needs. How will eCommerce Change in the Era of IoT? 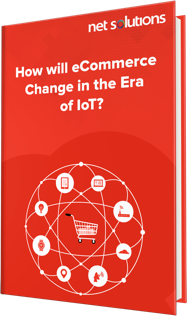 Gauge the future of IoT in eCommerce and prepare to deliver the experience desired by your customers. Are you a B2B e-commerce business who is looking at increasing their revenue by adopting the best practices of B2C e-commerce? Discover enlightening and practicable tips for developers and designers to get their mobile UX right. Create great digital experiences that are Easier, Effective and Emotionally aligned with your customer's expectations. Enabling businesses to deliver more stable, bug-free mobile apps by automating mobile app testing. Helping businesses create flawless experiences by optimizing their mobile apps for best performance. A practicable eBook to help you optimize Digital Retail Customer Experience. Follow this 12-point checklist that ensures you will end up hiring the best app development partner for your next project. Helping you overcome challenges in developing experience-driven, high-performance mobile apps. Considering Chatbots as part of your Digital Strategy? – Find out more how you could leverage Chatbots to grow your business. Startups or Enterprises - Learn How Hybrid App Development Framework would work for your business. Increase customer base by 30 to 50 % by investing in the right e-commerce strategies. Learn how to upgrade your Web and App solutions in accordance with the new GDPR rules.